This is a Multi-Williams, a collection of 6 of William's biggest classics from the early 1980's. 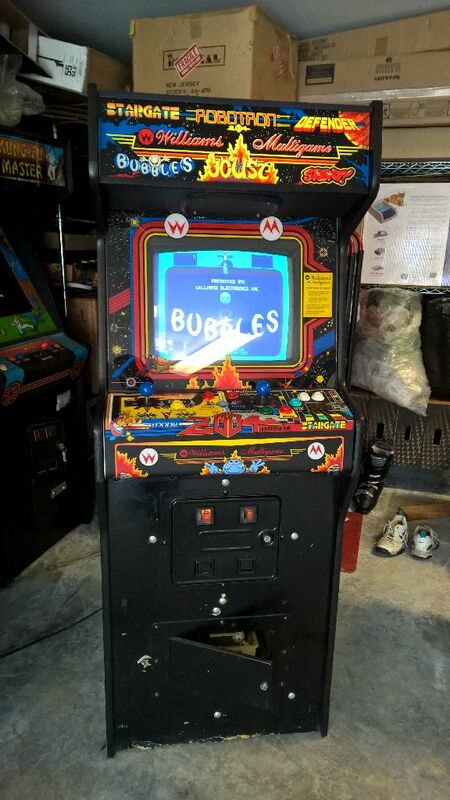 This includes Stargate, Robotron 2084, Defender, Bubbles, Joust, Moon Patrol and Splat. The games are selectable from an on-screen menu. This is the JAMMA version of the Multi Williams board. 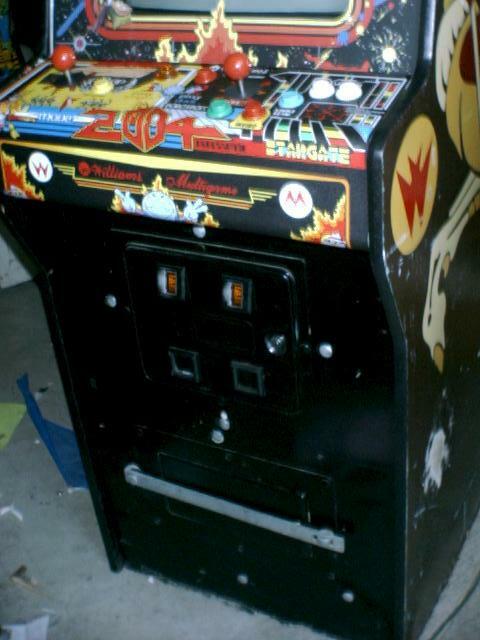 Cabinet is solid, has full new reproduction artwork, has some scratches and dings and some stripes and spots. 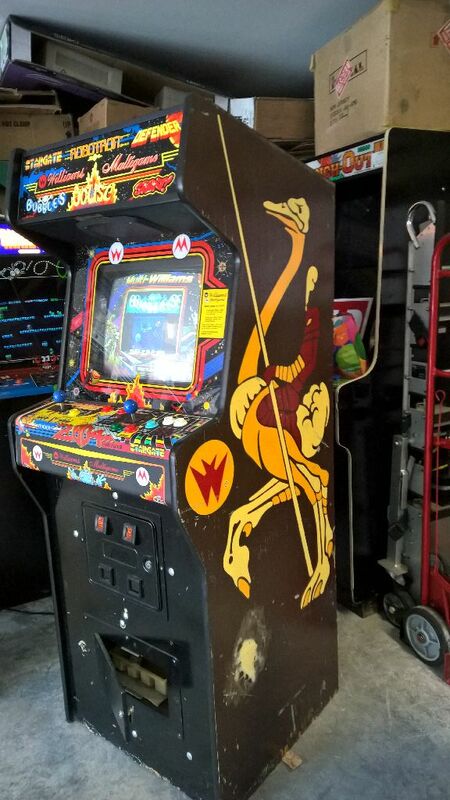 This originally used to be a Joust cabinet. One spot on the right side has been filled in. The monitor has a great picture, cap kit installed! Has a very tiny bit of burn in, but isn't noticeable during game play. Control panel is brand new, new overlay. Controls work great. Monitor glass is nice, brand new glass with no scratches. Monitor bezel artwork is also brand new. Marquee is brand new as well. 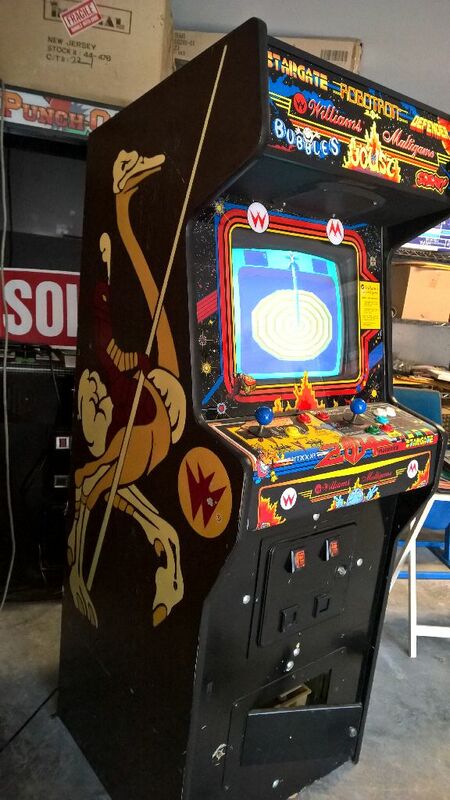 This has a JAMMA harness, which means you can also play JAMMA games in this cabinet.